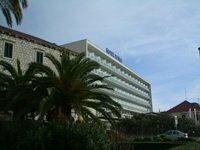 Hotel Ivka is a 3-star Dubrovnik hotel located in Lapad. Bus stop to the Old Town is just 5 minutes up the road from the hotel. From Hotel Ivka you can easily walk to Lapad bay where most Dubrovnik beaches can be found. Hotel is opened all year round. Hotel Ivka has a capacity of 75 rooms. Room amenities include direct dial phone, satellite TV, safety deposit box, wireles internet, hair-dryer. 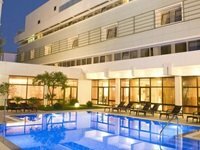 Guests can enjoy Dalmatian and international cuisine in the hotel's restaurant. There is also an aperitif bar in the hotel. From Hotel Ivka you can easily reach many beaches on foot. Lapad bay with many nice beaches and rocky spots is some 10 minutes away. Hotel Ivka doesn't have a pool. If you are coming by a car, there is a parking lot (20 parking spaces) and a garage (20 parking spaces) on site. FROM DUBROVNIK AIRPORT: Take the airport shuttle bus to Pile Gate. From there take city bus No.4 and travel until 8th bus stop. After getting off the bus walk towards the crossroad and turn right. Hotel is located on the right side of the road. FROM DUBROVNIK PORT/MAIN BUS STATION: Take city bus No.7 and get off the bus at the bus stop close to traffic lights. Walk towards the crossroad, turn right and walk along this road for about 5 minutes. Hotel is located to the right. FROM OLD TOWN: From Pile Gate take either bus No.4 or bus No.5 and travel until the stop close traffic lights Lapad. From bus stop walk towards the crossroad and turn right. 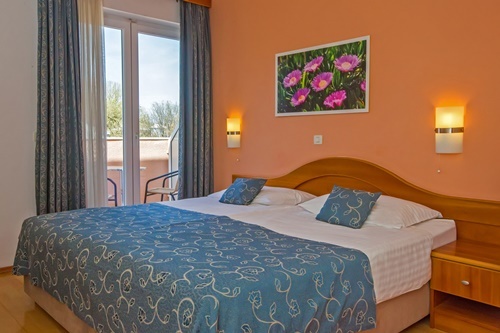 Hotel is located within 5 minutes walking distance from the crossroad. To reach the Old Town take bus No.6 from the bus stop up the road from the hotel.